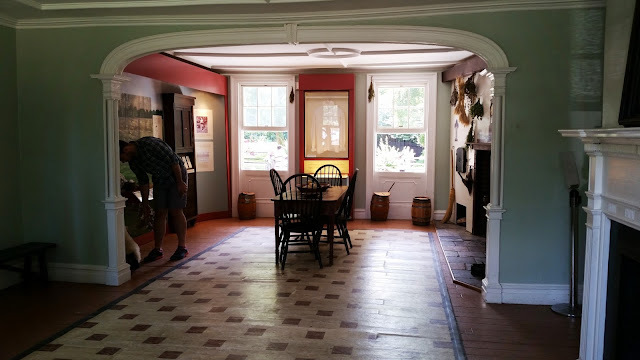 Last Saturday, R and I found ourselves with a bit of extra free time, and decided to cross off the last Brooklyn historic house on our list, the Lefferts Historic House Museum. (Unfortunately, the fourth house on the list, the Hendrick I. Lott House, is closed to the public right now. But maybe if we ask real nice the HHTNY will let us visit?) 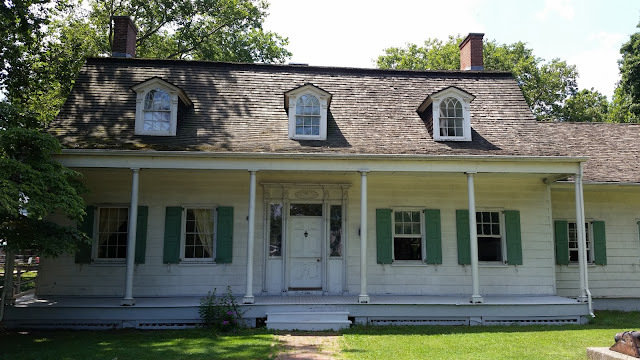 The house was built as a farmhouse in Flatbush by Pieter Lefferts in the 1780s, and was moved into Prospect Park in 1918. 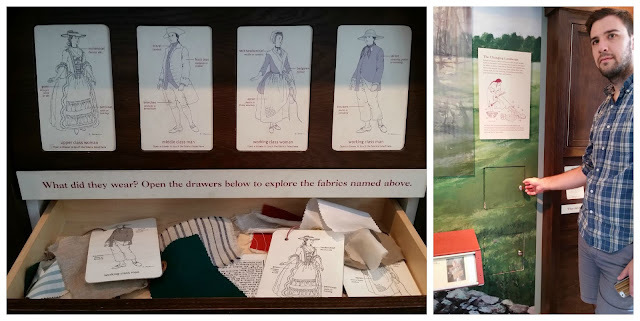 It opened as a museum in 1920, cared for by the Fort Greene chapter of the Daughters of the American Revolution. I'd actually visited the Lefferts Historic House Museum once before, in 2009, and I was pleased to see that it seems a lot of the house has been re-done and re-imagined since then. 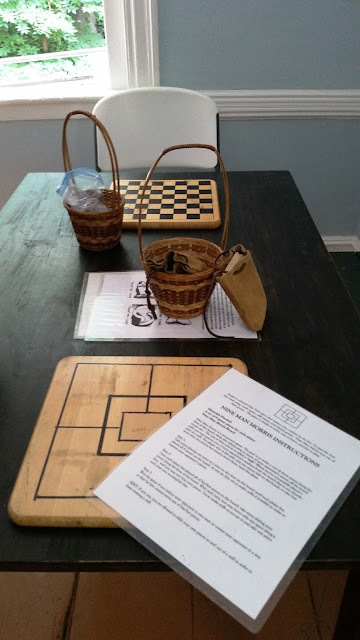 About half the house is dedicated to children, which I love, with historic games (including Nine Man Morris, which we'd seen carved into a stone in the basement of the Dyckman Farmhouse the weekend before) strewn about for them to play. The kitchen, also, was interactive, with fake food in open-able ovens and a little display about textile production (which R. and I both loved, of course! I tried to show him how to use their drop spindle, but it turns out I've never been very good at spinning). 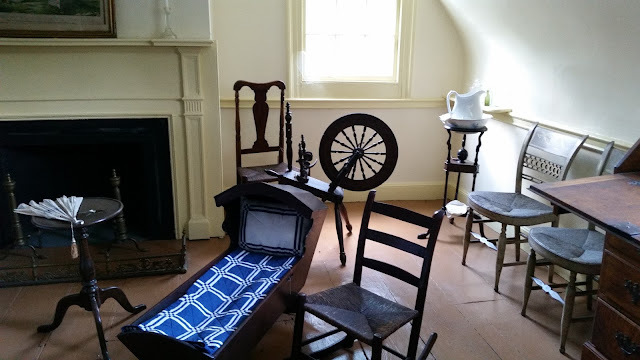 I really love historic houses that make a place for children, because I can imagine it might get a bit boring for them to look at old furniture all the time. I also thought the Lefferts House also did a nice job of weaving in a darker side of the house's history with references to slavery throughout. 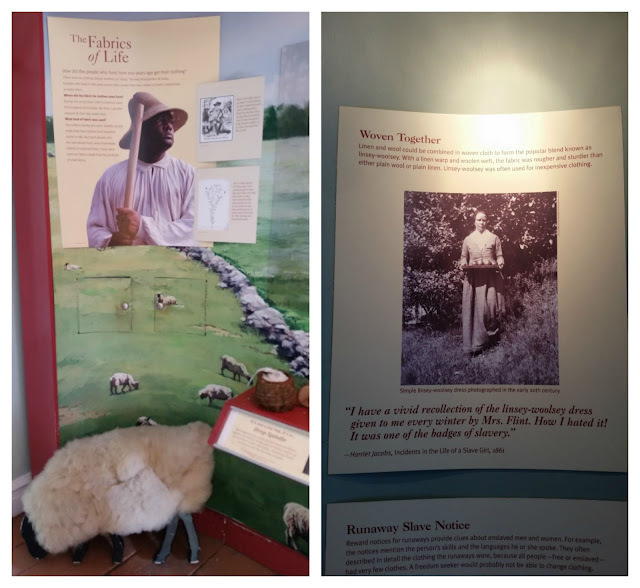 I think a lot of houses do their visitors an injustice by ignoring slavery in their educational materials and tours, so I was glad to see that the Lefferts House didn't shy away from it. 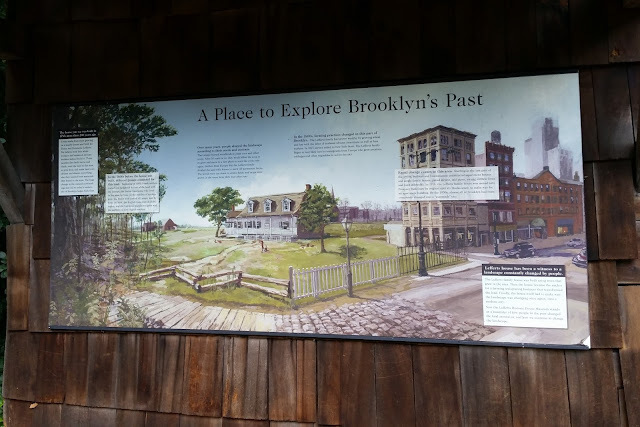 Of course, there was something for adults to take in, as well, with pretty excellent wall text describing the history of the house and how it was moved to its current location in Prospect Park. One of the parlors was furnished as if ready for a concert. 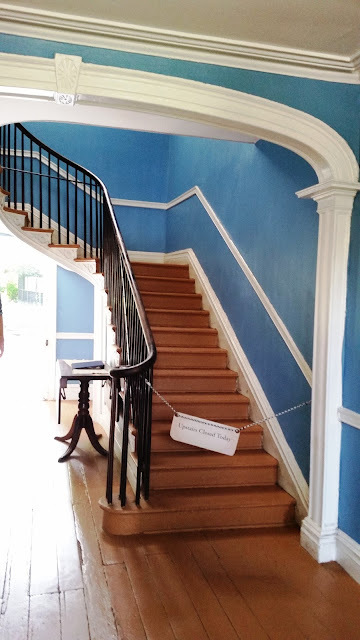 And, we were lucky enough to be able to visit the upstairs with one of the tour guides, even though it was technically closed for the day. I'm always so curious as to what the hidden parts of these houses look like, so I was pretty overjoyed when she said she would bring us up to see. The lighting was dark, so I don't have many photos, but there was a furnished bedroom and two "museum rooms" upstairs. One was open storage (so cool! ), while the other held a display of tea settings. 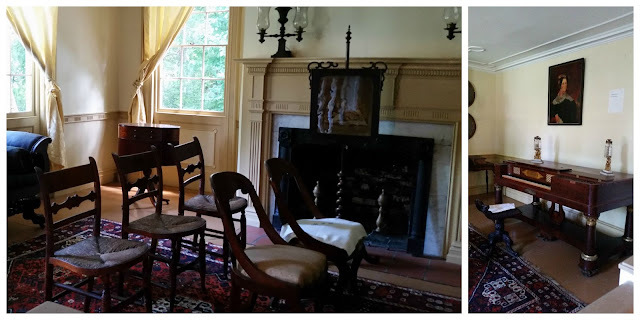 It was so cool to see all three rooms, along with the curved ceilings above each of the windows, which allowed more natural light in than a normal ceiling wood. And, the outside of the building was just as cool as the inside, with more games for kids to play (including old-fashioned stilts to walk on and hoops to roll), and a garden of local vegetables and herbs. 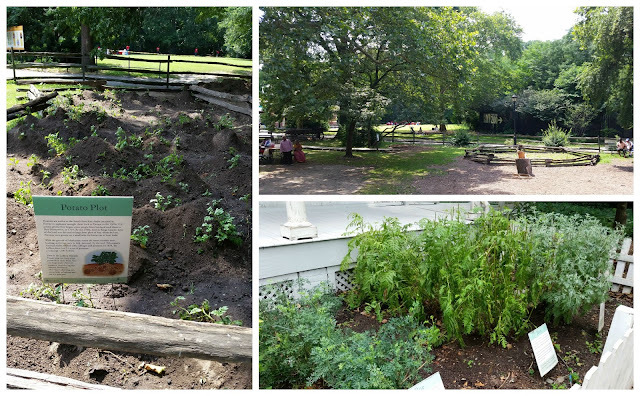 The house is very, very close to the Brooklyn Botanic Gardens and the Brooklyn Museum, so I hope you'll hop in for a quick visit the next time you're in Prospect Park!